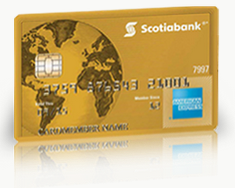 This is the final week to grab the Scotia Bank Gold American Express Card with the 30,000 point sign up bonus worth $300 in travel and having the first year annual fee waived. Starting on November 1st, the bonus points will be lower but the good news is that it will still have the annual fee waived. The card has some very strong category earning (4x points on Gas, Grocery, Dining & Entertainment) and since it is first year free you essentially get that $300 for free (the 30,000 point sign up bonus) as long as you apply by October 31. This card ranked second in the Travel Points Card with annual fee category and fifth overall in our 2017 Top Travel Rewards Credit card rankings and will most likely continue to be on our monthly top 5 credit card sign up offers. Use your points to purchase travel online or over the phone through our full-service travel agency. Or book your own travel using your card and go online to redeem points for the purchase. Receive discounts and other special offers on hotels, airfare, car rentals, cruises and vacation packages. For more details or to apply for the card please see here.